NEWBORN Our infant insert keeps baby wrapped up in a plush cocoon, putting your baby right back into the soothing fetal position. 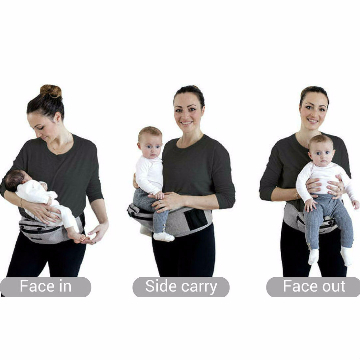 And the 3D hip seat supports your arms during the long hours of carrying and nursing your baby in the early days. 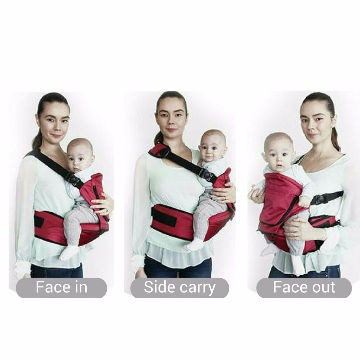 3-6 MONTHS As soon as your baby has a strong neck and head control, use the 3D hip seat with the double shoulder strap to carry your baby facing in. This is when your baby is just becoming aware of who you are and wants to be close to you as much as possible. 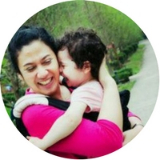 6-12 MONTHS Your baby is becoming more curious about the world around you every day. Growing babies love to see things from your perspective, up high and in-person. Now’s the time to try the forward-facing position. 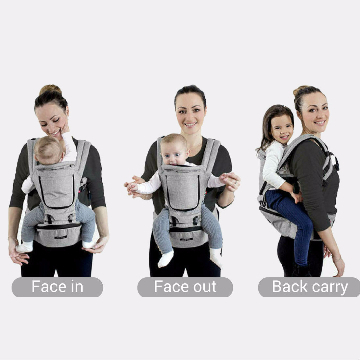 8 MONTHS – 3 YEARS The back-carry position is a great option for heavier kids on long trips or for hiking outdoors. Your HIPSTER ™ PLUS goes wherever a stroller can’t. I like the supporting hip seat and face forward option. It makes things much more interesting for toddlers. Also, the pouch under the built-in seat is practical. HIPSTER™ PLUS is easy to use. Both mom and dad can use it. When the boys were little, I would use my Hipster around the house most often. I would need my hands for cooking, or doing other chores and at least one baby needed to be held at all times. I would use the base and the side shoulder strap. As they have grown more independent, we have used our Hipsters more on outings, wearing them on our backs. We keep them in the car and often end up using them when we are out shopping. How to use the HIPSTER™ PLUS 3D hip seat base? Simple baby onboarding. 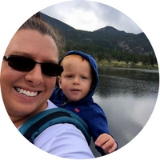 Nothing is easier for picking up and putting down your baby in a flash. How to use the HIPSTER™ PLUS double shoulder strap? Zip the standard double shoulder strap to the seat base and all the joys of being hands-free are yours. Just like that! How to use the HIPSTER™ PLUS single shoulder attachment? Our optional single shoulder attachment protects your back and makes hip carrying a snap. It slips right over your head—no buckling required. 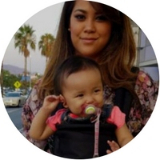 It’s a great option for babies who are starting to want more freedom but want to stay close to you at the same time (recommended age 5 months+). How to use HIPSTER™ PLUS in back carry position? Unlike other carriers, HIPSTER™ PLUS makes getting a larger child into the “backpack” position effortless. It’s a favorite for outdoor fun.